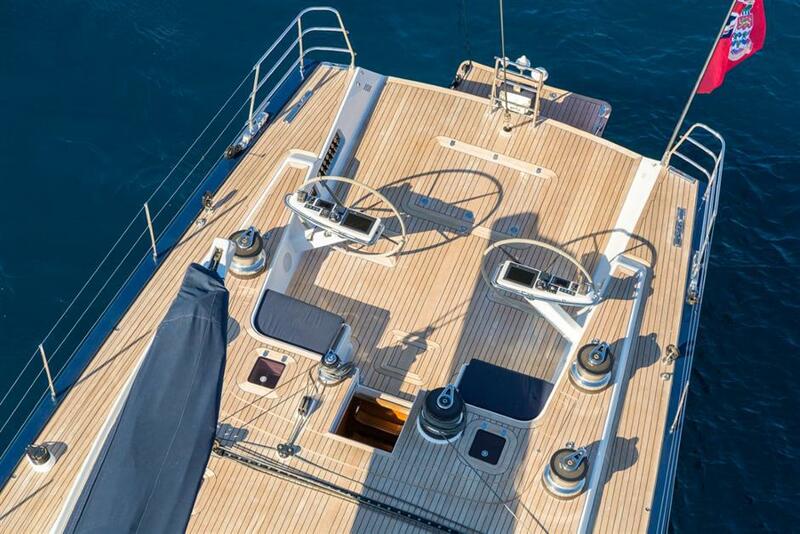 This yacht is characterized by sporty lines of a low coachroof profile and an open transom. 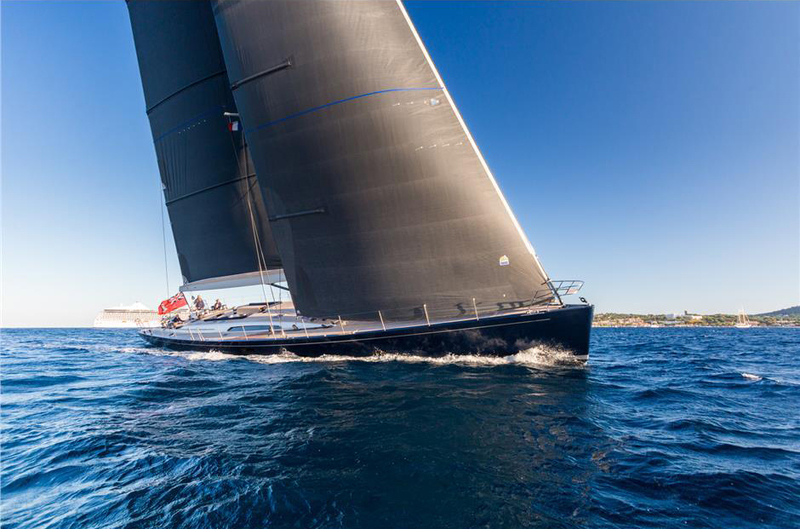 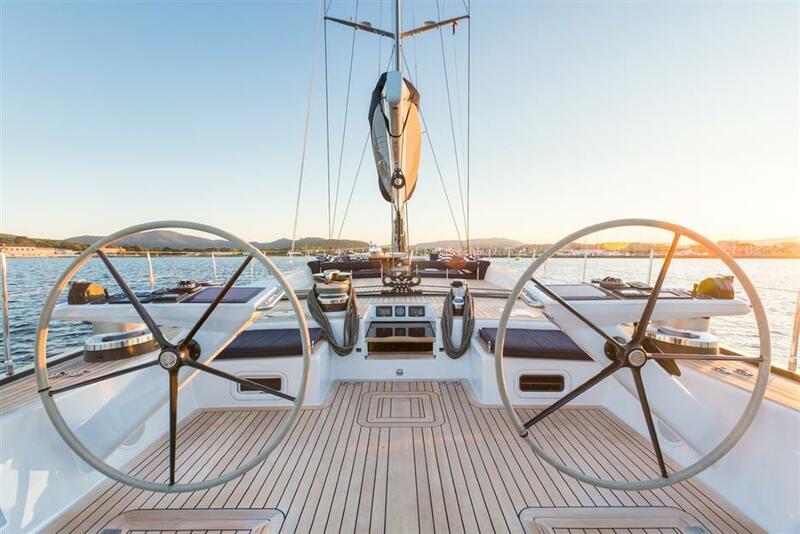 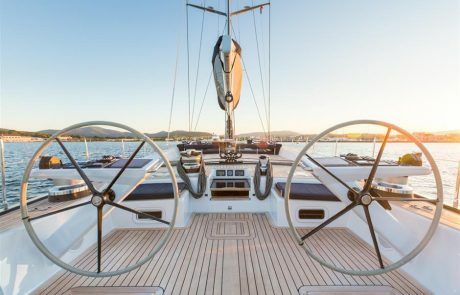 She is built to the highest quality and technical specifications, including a High Modulus carbon mast and carbon EC6 + rigging, to offer incredible performance; she has participated in several super yacht racing events. 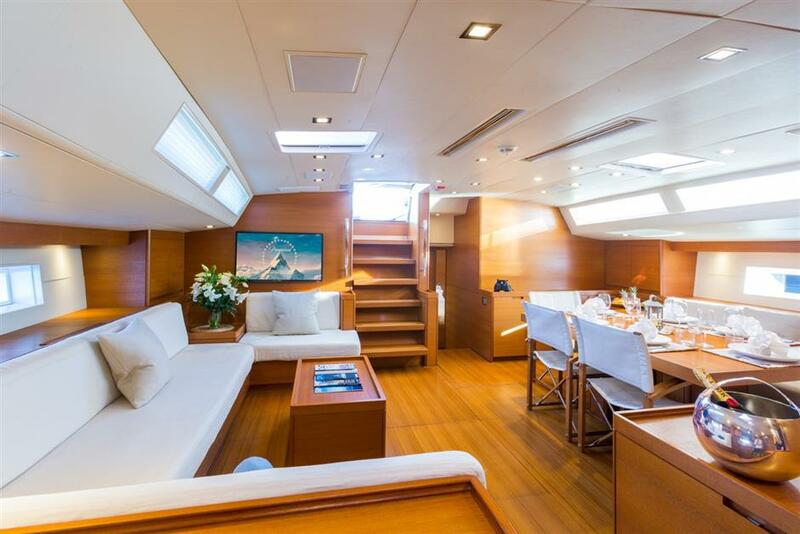 The style of the interior reflects the sporty character of this yacht, maintaining the classic SWS configuration. Compared to the DS, the saloon has been lowered, thus widening the living area which makes use of the full beam of the yacht. 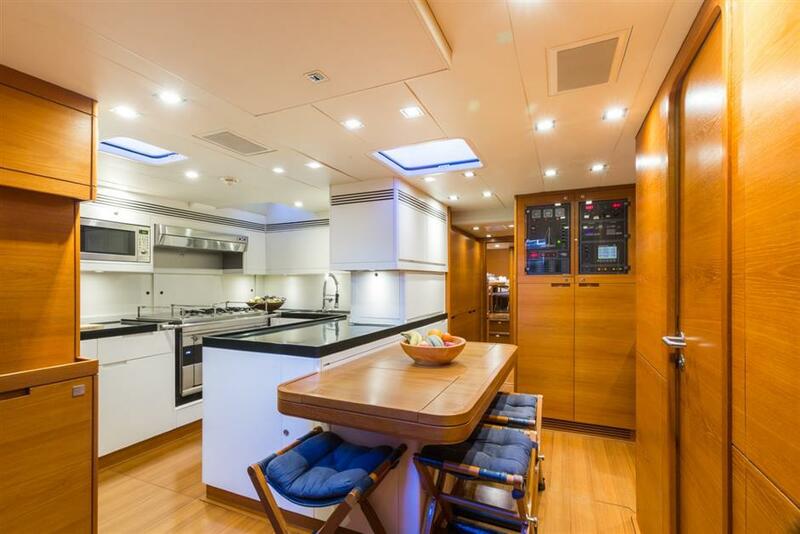 This creates a single open space with the adjacent study. The guest area starts amidships and extends all the way fore to the quietest section of the yacht. The accommodation comprises by one twin cabin with single berths and two double VIP cabins. 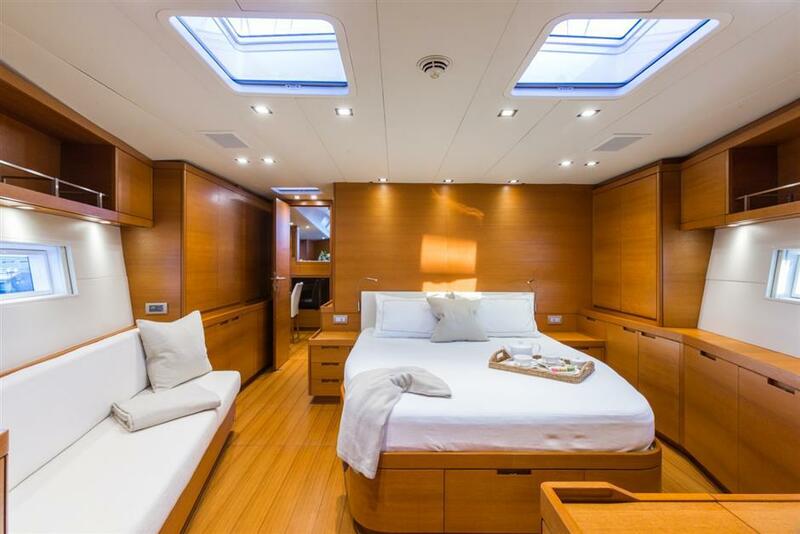 The master suite, is fore of the mast. 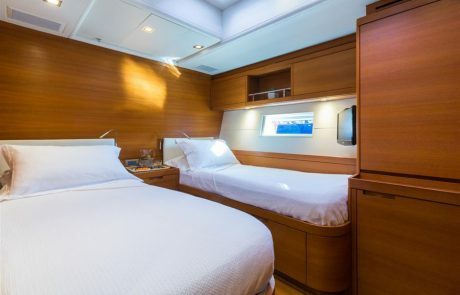 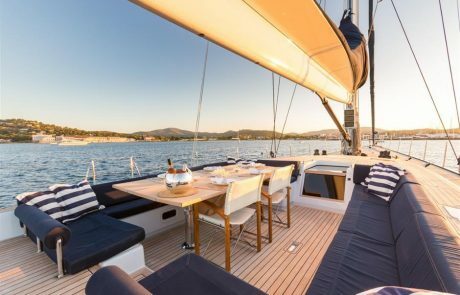 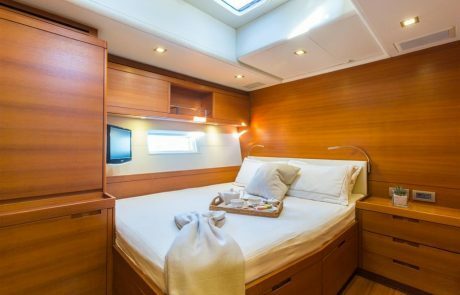 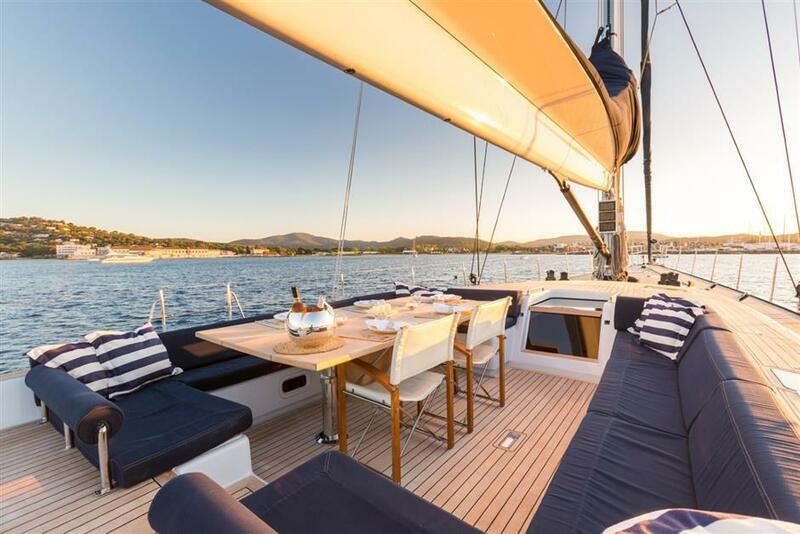 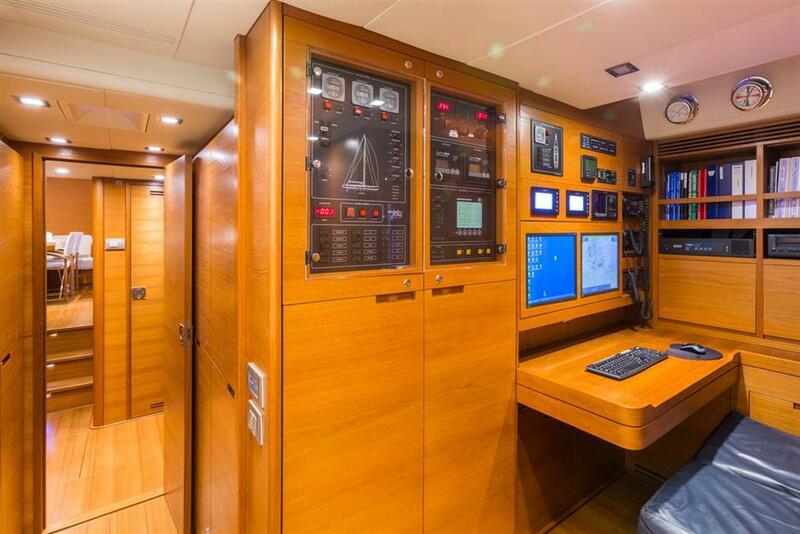 The crew area aft includes two cabins and a spacious galley and is served by a dedicated companionway to ensure the privacy of owners and their guests.